This is a source work of medieval magic that gives complete sets of zodiacal lames, characters, and planetary sigils, with full details for their manufacture and consecration, often omitted by later writers. Paracelsus is essentially concerned with the practical applications of magic, especially with regard to healing, rather than the extravagant fantasies of theorists. His sections on alchemy include details of the planetary spirits, the conjunction of the male and female principles, and each step on the path to the Tincture--one of the most complete descriptions in the whole Hermetic canon. Paracelsus outlines techniques for the exorcism of evil spirits, conjuration, and counteracting witchcraft. 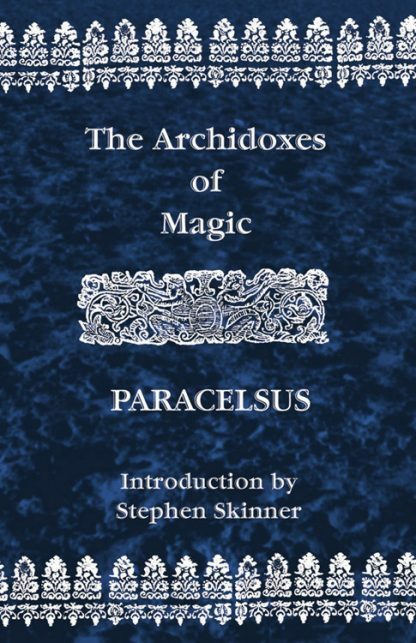 Stephen Skinner's introduction provides a brief biography of Paracelsus and explains the influence of his work on the Western Mystery Tradition. Paracelsus (Philippus Aureolus Theophrastus Bombastus von Hohenheim, 1493-1541) was a Swiss physician who also gained magical knowledge from Johannes Trithemius, Agrippa's teacher, and was acquainted with the famous alchemist, Solomon Trimosin (author of Splendor Solis). In his use of herbal remedies and principle of -signatures-? he could easily be credited as one of the fathers of modern pharmacology. His work had a major influence on John Dee, Francis Barrett, A.E. Waite, and many others.